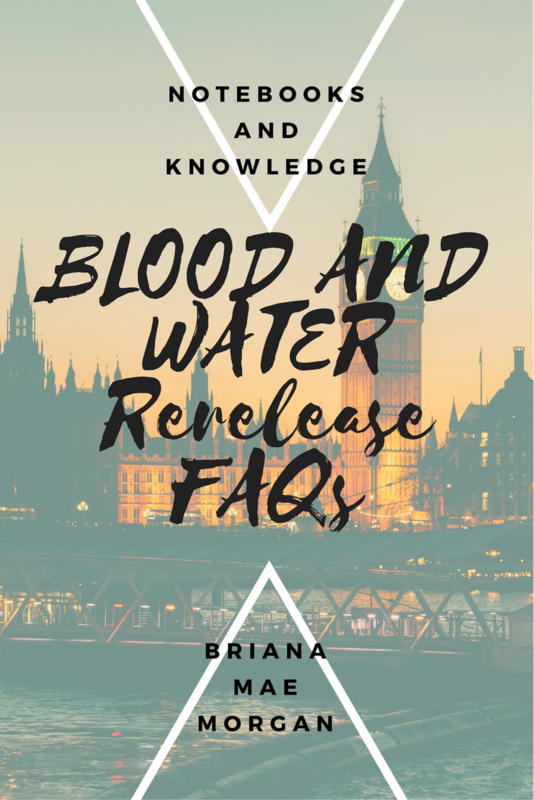 A lot of you already know this, but I’ve been working on a new edition of BLOOD AND WATER for several months now in preparation for the rerelease. My announcement that there’s going to be a rerelease prompted a lot of people to ask questions. The book’s been out for over a year now, so why do I feel the need to create a new edition? How different will it be from the original book? Will the cover change? What about bonus material? What about people who bought the first edition but still want the rerelease? It goes on and on. But you know what? Those are EXCELLENT questions. And today, I’m going to do my best to answer as many of them as I can. With any book, when you assign a title a new ISBN, it’s automatically a new edition. Since I went back to self-publishing (rather than publishing through a small press), I have to get new ISBNs for the titles I had with the publisher. Fundamentally, not very. The plot is the same, as are the characters, but I’ve gone in and added deleted scenes, made some changes to dialogue, fixing typos, and things of that nature. Overall, the new edition feels much more cohesive than the original, and I’m pretty excited about it. No way! Taylor’s cover is perfect and I am so in love with it. There will be plenty of bonus material! Like I mentioned before, I’m including a couple of deleted scenes, as well as a new character and some hints toward the upcoming sequel. Also, at the end, there’s a short story all about Samson. What if I bought the original but I still want the rerelease? You’re in luck! I haven’t quite figured it out yet, but I want to offer some kind of deal to anyone who bought a copy of the original but wants the rerelease. I’m open to suggestions! If you think of a sweet deal, please let me know in the comments or somewhere on social media. Right now, all I can say is early 2017. I’m hoping sometime in January, but it’ll most likely be February since I’m also working on getting Reflections out soon. So there you have it. Hopefully in this post, I’ve answered most of the questions concerning my rerelease. If I didn’t get to yours or you’ve thought of something else to ask me (sneaky! ), shoot me a message on social media or leave your query below. Thank you so much for your support! I can’t wait to share this with you!